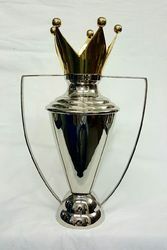 Manufacturer of a wide range of products which include sports cups, silver plated trophy, platinum trophy, pewter trophy, trophy cup and metal trophy. 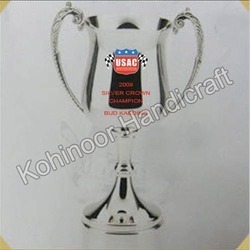 We are engaged in offering a comprehensive gamut of Sports Cups. These products are designed by a team of creative craftsmen using high grade metals and other raw material to make the product durable. These products are attractive, sophisticated and are extensively used for rewarding the achievements of sportsmen. Moreover, these products can also be customized as per the specifications mentioned by the esteemed patrons. 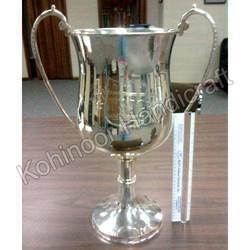 Our expertise lies in providing our clients with an impeccable gamut of Silver Plated Trophy. These products are manufactured using optimum quality raw material, procured from the reliable and authorized vendors of the industry. We use advanced production facility to manufacture our range, which keeps us a step ahead of our close business competitors. We have in store an impeccable range of Platinum Trophy. These products are available in various shapes, colors, designs and finishes, to suit the ever-changing demands of our esteemed clients. 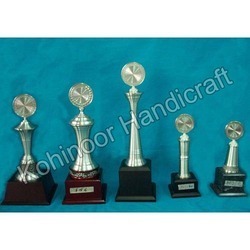 Our trophies are extensively used in various schools, colleges, institutes and offices. The offered product range looks very attractive and are highly demanded by the customers. 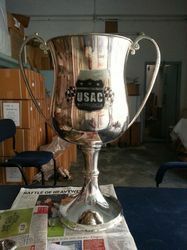 We are the manufacturer,exporter and supplier of Metal Trophy.